Read about Spinraza/nusinersen Cost, Side effects, Dosage, Uses for spinal muscular atrophy. Spinraza is marketed by Biogen of Cambridge, Massachusetts and was developed by Ionis Pharmaceuticals of Carlsbad, California. U.S FDA approved new medicine spinraza that contains active ingredient nusinersen for the treatment of rare muscular disorder known as spinal muscular atrophy (SMA). FDA approves this drug in parenteral dosage form and a medical specialist is required to inject this drug because it is administered into the fluid surrounding the spinal cord. Spinal muscular atrophy is a rare kind of genetic disorder. 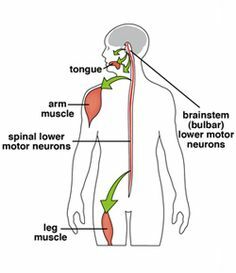 Motor neurons are important to control motor functions of body like moving, driving, various muscular movements etc. Increase in number of dead motor neurons makes the co-ordination weak between brain and skeletal muscles. This will ultimately leads to the development of SMA (spinal muscular atrophy). However, certain risk factors that play important role in the development of SMA (spinal muscular atrophy) are genetic predisposition, age factor, auto-immune disease etc. This drug belongs to antisense oligonucleotide family and can be used in all types of spinal muscular atrophy. It is injected through intrathecal route so, much care is required during its administration in order to avoid nerve damage. This drug has been received orphan drug designation which provides incentives to assist and encourage the development of drugs for rare diseases. U.S FDA approved this drug for all kinds of spinal muscular atrophy (SMA). This drug should be used once every 4 months after loading dose administration via intrathecal route. Care should be taken while injecting this drug to avoid any nerve damage. This drug is manufacturing as single dose vial with potency of 12mg/5mL. Dosage of spinraza is diving into two phases. Loading Dose: It includes 4 doses each of 12mg intrathecally. Administer first 3 doses at 14-day intervals and then administer 4th dose 30 days after the last (3rd) dose. Maintainance Dose: It includes dose of 12 mg intrathecally per administration after every 4 months. Read about Rubraca/rucaparib Cost, Side effects, Dosage, Uses for advanced ovarian cancer. Rubraca is marketed by Clovis Oncology, Inc. based in Boulder, Colorado. U.S FDA assigned accelerated approval pathway to new medicine Rubraca that contains active ingredient rucaparib for the treatment of various types of ovarian cancer. According to FDA guidelines this drug should be used in progressive or advance type of ovarian cancer. According to statistical data ovarian cancer is one of most leading type of cancer in women with high mortality rate. Ovarian cancer has multiple types some of which are idiopathic while others are due to mutation in specific genes e.g BRCA gene. Statistics shows that in United states approximately 20,000 to 22,000 women diagnosed with ovarian cancer annually and about 60 to 70 percent of these women die due to ovarian cancer. In united states most majority of women have ovarian cancer due to mutation of BRCA gene. Rubraca/rucaparib achieved accelerated approval pathway due to its targeted action. Normally BRCA genes involves in the development of DNA but due to mutation in BRCA genes they produce altered DNA and give rise to tumor cells. rubraca/rucaparib works by blocking the enzyme (polymerase) that is necessary for DNA replication. This blockade will restrict the process of DNA replication or repairing, leading to cell death and possibly a slow-down or stoppage of tumor growth. U.S FDA granted its use in women who have advance ovarian cancer and one or more of the mutations of BRCA genes are detected, the patient may be eligible for treatment with Rubraca. However drug should be used with caution in patients who have bone marrow problem because this drug may cause myelodysplastic syndrome in those patients. This drug is not safe for fetus development so, always consult with your health care provide (hcp) before starting any medicine. This drug is manufacturing in the form of tablets (Oral dosage form) with potency of 200mg and 300mg. Standard dosage frequency of Rubraca/rucaparib is 300mg tablet twice a day (BID) daily until disease progression reduced to maximum level. 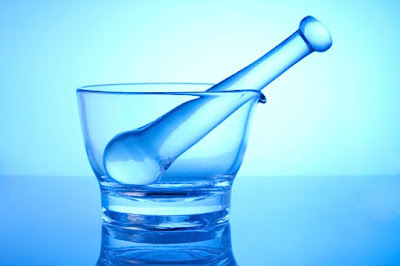 Dose adjustment may be required in case of severe side effects, hepatic or renal impairment. Safety profile of this drug has not yet evaluated in children. This drug is now available in the market with an average cost of 3900$ to 3700$ per pack. There two potencies of rubraca 200mg and 300mg available in the market. Both have same pack size (30's). This price may variate with the passage of time so, make it confirm by visiting your nearby pharmacy before purchasing. Read about Eucrisa/crisaborole Cost, Side effects, Dosage, Uses for Eczema. 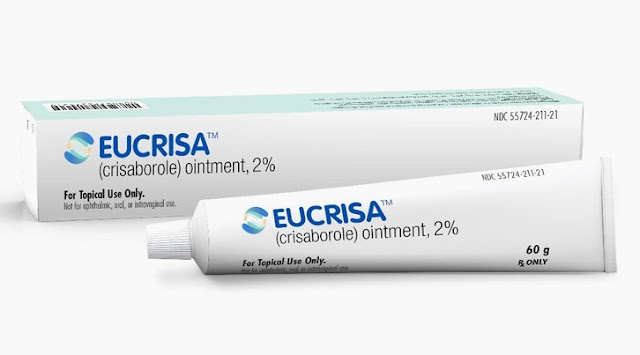 Eucrisa is manufactured by Palo Alto, California-based Anacor Pharmaceuticals, Inc.
U.S FDA approved new drug Eucrisa that contains crisaborole as topical dosage form (ointment) for the treatment of eczema ( atopic dermatitis) in patients having age 2 years or more. Eczema. Eczema or atopic dermatitis is a common skin disorder among all populations. It is intense form of skin disorder with an inflammatory response that requires long-term management or sometimes life time management in advance stages. Exact underlying cause of eczema is not fully understood that triggers inflammatory response. It is proposed that genetic predisposition, environmental factors and immunogenic response play key role in the parthenogenesis of eczema. Most common symptoms of eczema include dry and red scaly appearance of affected area of skin with intense itching. Scratching may cause skin thickness along with swelling that prolongs the duration of therapy. Main mechanism of Eucrisa/crisaborole is inhibition of phosphodiesterase-4 that causes inflammation by triggering the release of certain inflammatory mediators like interleukin-12(IL-12), bradykinins, cytokinins and tumor necrosis factor (TNFα). As name indicates that it contains boron that penetrates readily and rapidly into skin is essential for its binding activity. U.S FDA approved only topical form of Eucrisa/crisaborole for the treatment eczema ( atopic dermatitis). Clinical data suggests that it should be applied two times a day to get better results. Eucrisa/crisaborole should not be used in patients having age less than 2 years. Eucrisa/crisaborole is manufacturing in the form of ointment with potency of 2%. Normally it should be applied in the form of thin layer topically to affected area twice a day. It should be used in case of mild to moderate kind of atopic dermatitis. It should not be used in children having age less than 2 years. Eucrisa is now avaiable in the market in two pack size 60g and 100g. Average cost of 1 tube (60g) of eucrisa with 2% potency ranges between 500$ - 800$. This price may variate with the passage of time so, make it confirm by visiting your nearby pharmacy before purchasing.